EVENT: StreamFleet Showdown Invitational Tournament! 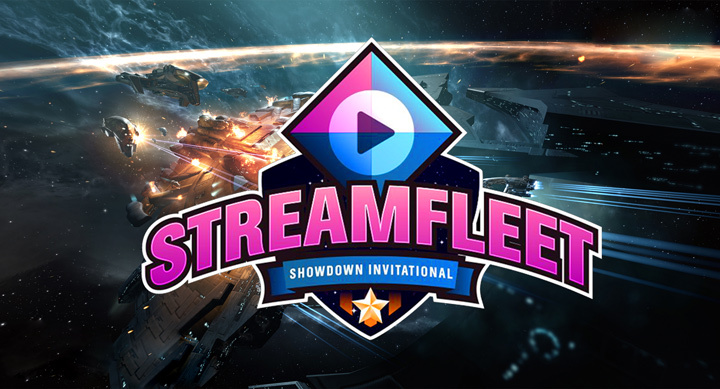 Greetings reader, I am excited today to bring to you news about the new StreamFleet Showdown Invitational (SSI) Tournament coming up shortly. The Pre-game show will begin on the 14th of April 2019 at 2200 Eve time. Pre-game hosts will be – Cyclo Hexanol, Mawderator, Rahne Chocolate & Jin’taan. The first round of the tournament begins on the 20th of April. The final round and championship round will be on the 27th. Both tournament days will have action starting at 2000 eve time. I was able to sit down with CSM Jin’taan and briefly go over the SSI. His passion and enthusiasm in what will be probably an exciting show down was catching. There will be an All Star cast of commentators and analysts. These are just the early indicated names of those that will appear and more to come! CSM Jin’taan has been organizing the tournament with help of many others to bring to the Eve community what will be a fast paced action packed event. What is the difference between this SSI and the past one? Well there will be twice the amount of cameras, twice the amount of teams, prizes given throughout the stream, and players whom make the best clips get bonus prizes. The tournament is fairly simple. You must win two matches in a day in order to advance. If you lose two matches you are eliminated. The system will also have teams play other teams with similar records in the tournament. This will provide some of the best match ups. So teams need to plan out their compositions to either brawl, kite, mid-range, control, or snipe. Seeing how each team picks the composition versus another team will be an exciting part of the tournament play. Teams will not be able to bring the same composition again and again which was a complaint from the Alliance tournament watchers. Speaking of the teams. They are jam packed with some of the best names of tournament play. This tournament is by invitation only. Which eliminates possible joke teams or B-rated groups. What people see on this grid will be the best and brightest the Eve community has locked in combat. I asked Jin’taan about the main motivation behind putting on this tournament. Well as we know CCP is taking a different angle at the Alliance Tournament venue. This year CCP is doing a world tour. At each location there is a tournament. The winners of these tournaments will be flown to the 2021 Fanfest to compete in a grand tournament. However, some people due to location, financial, or disability cannot attend the local Fanfests around the world. So in order to provide this online venue Jin and his fellow volunteers have worked tirelessly to provide the venue in which these players can still have an AT-like experience. The 14th and the pregame show is fast approaching! Time will only tell which team will take the title of the 2nd SSI champion. Tune in for prizes and an enjoyable show for sure! Until next time good reader take care and enjoy the 2nd SSI.